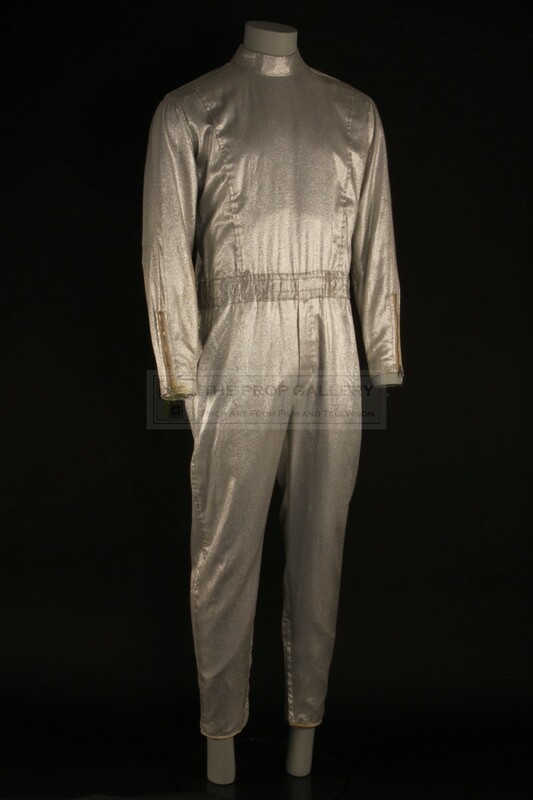 An original costume used in the production of The Six Million Dollar Man, the classic 1970s science fiction television series starring Lee Majors. 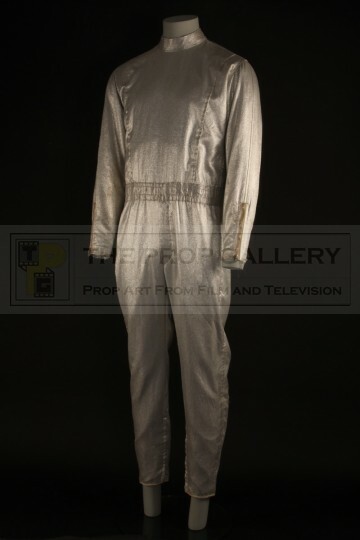 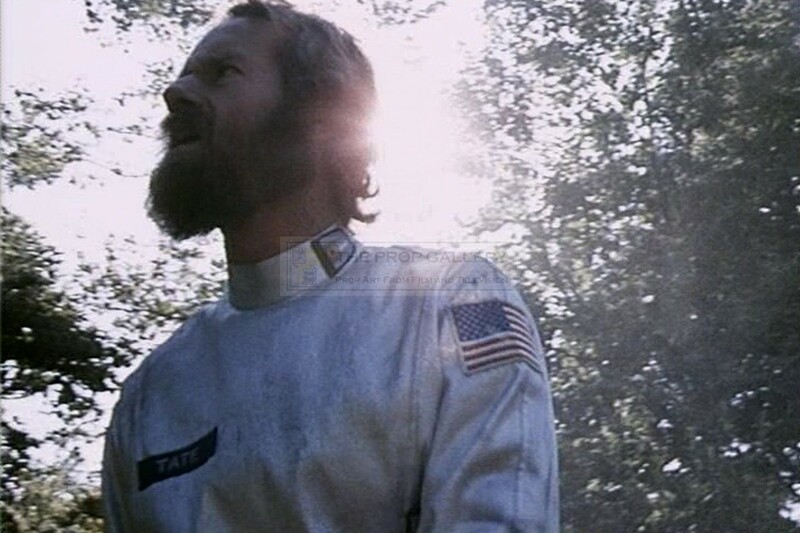 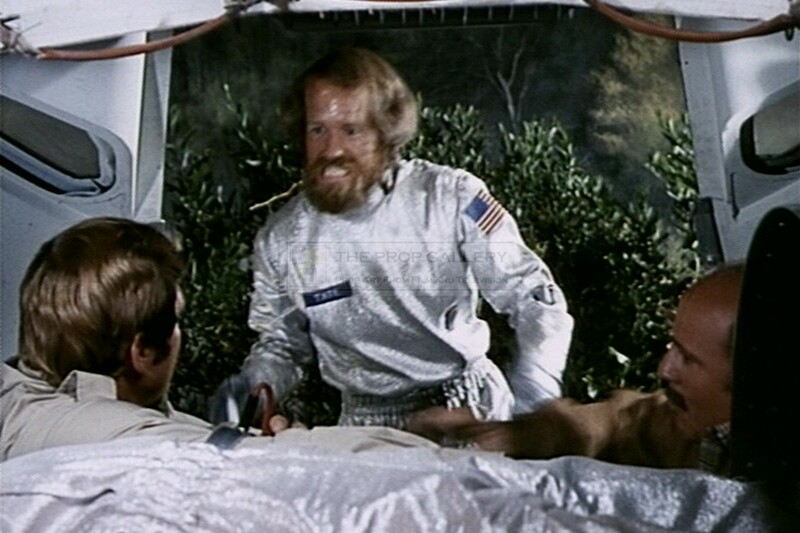 From the Season Two episode The Pioneers first broadcast in September 1974 this is an original costume for the character of David Tate portrayed by Mike Farrell. 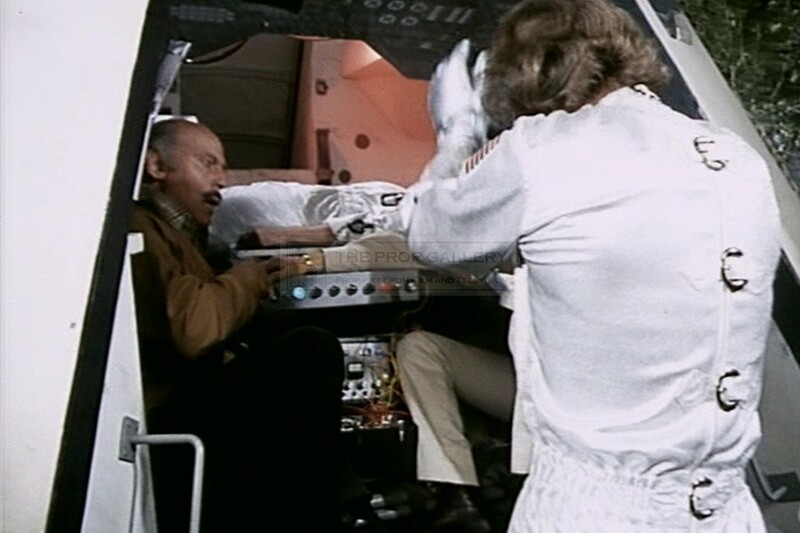 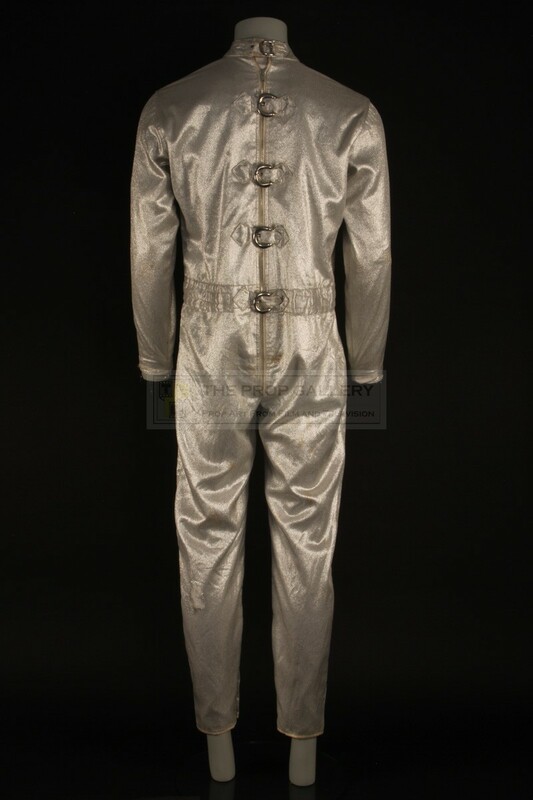 The custom made full length spacesuit is constructed from shiny silver material lined to the interior and features 4 buckles to the back with zip fastening from crotch to collar and further zips to the cuffs and ankles with a smaller buckle fastening to the rear collar. 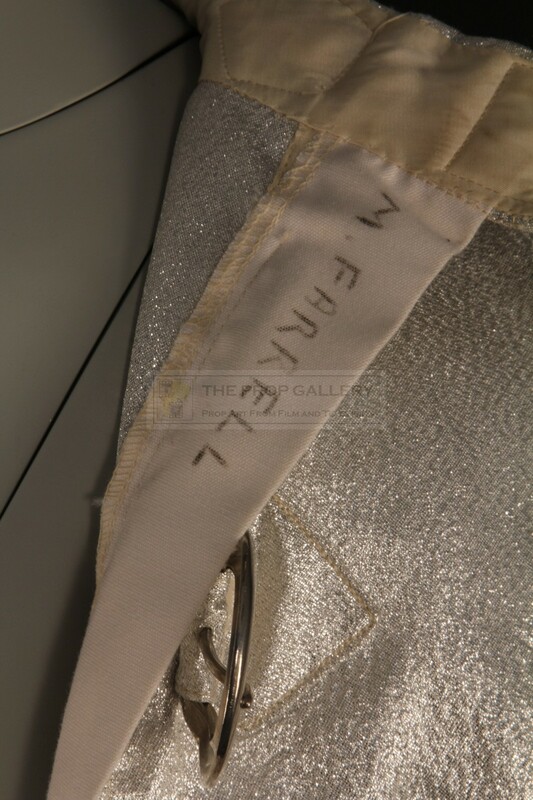 The costume is hand inscribed to the rear interior 'M FARRELL' in black pen and has had the name patch, flag patch and accessories removed for use in subsequent productions with stitch evidence of this remaining to the interior. 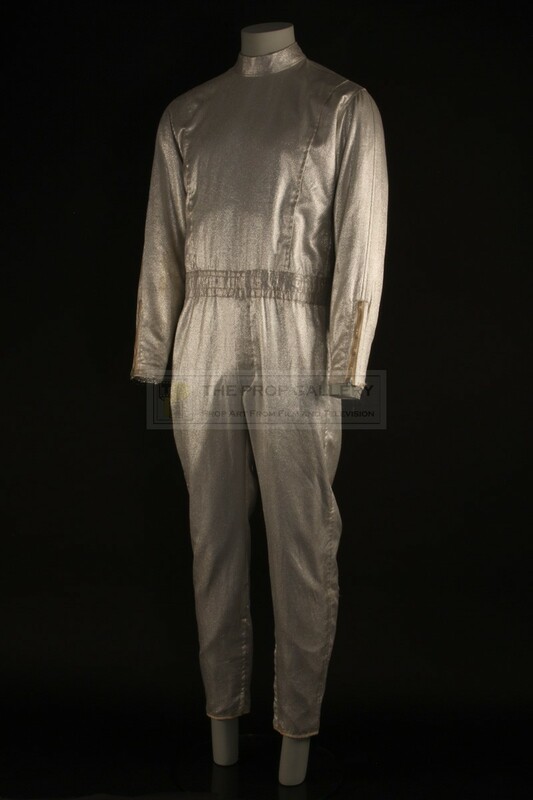 The costume remains in generally excellent production used condition with a small rip to the rear left leg and a studio made repair to the right arm, minor fraying to the right cuffs and minor spot soiling largely to the rear of the costume. 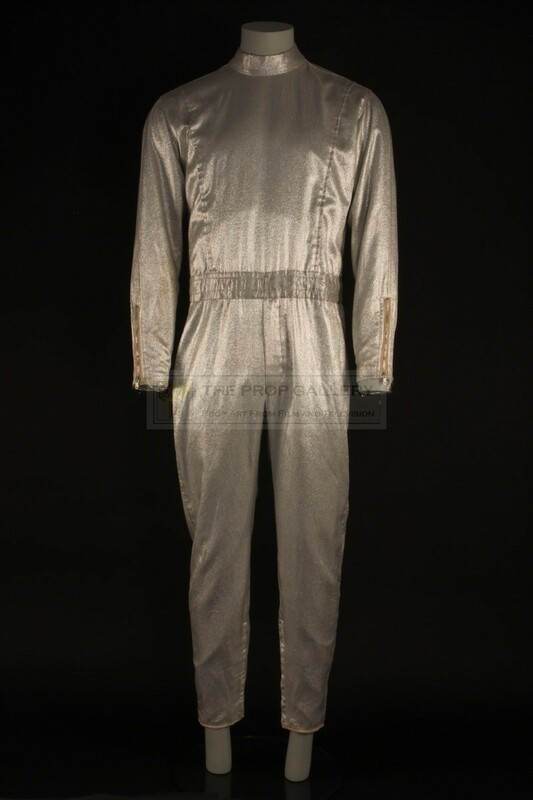 A rare and fine example of guest costume from this highly regarded television series.